Sandpoint, in the northern tip of Idaho, is no ordinary senior vacation destination.Located on magnificent 43-mile-long Lake Pend Oreille (the fifth deepest lake in the US), surrounded by the Selkirk and Cabinet mountains, and with Schweitzer Mountain ski resort minutes away, Sandpoint is blessed with outstanding attractions. Visitors will find plenty of things to do such as Bike tours, Air tours, Driving tours and a visit to the Laughing Dog Brewery. And check out the Farmers Market, take a tour of the Albeni Falls Dam, go horseback riding or enjoy a cruise on Lake Pend Oreille. Pend Oreille National Scenic Byway, 33.4 miles of spectacular water views on Highway 200, meanders east to the Montana state line along the rocky shores of Lake Pend Oreille. For those of you seniors who enjoy railroading, like my brother-in-law who has a miniature railroad in his backyard, Sandpoint is one of the West’s greatest railroading towns. The Burlington Northern, Montana Rail Link and Spokane International rail systems all converge to create “The Funnel,” an amazingly active rail crossroads with more than 40 trains a day traveling through. Sandpoint was featured on the national scene in the June issue of Country Living, and Where to Retire magazine had a five-page article on Sandpoint. The Sandpoint, Idaho real estate market is stronger than other areas, and it makes sense: Idaho was named the nation’s 8th healthiest and 14th happiest state in the country. Obviously, there is a reason for all this attention from the outside world…a peaceful and tranquil arcadia in an absolutely stunning natural setting. No traffic congestion, thousands of acres of forests with trails for hiking and biking, and ski slopes and golf courses just minutes away. Senior visitors enjoy the classic beach and park activities at Sandpoint City Beach, an 18-acre park surrounded by water on most sides. You can lounge on the beach, play volleyball or horseshoes, picnic, or stroll the path that encircles the park. The 29-year-old Theodore Roosevelt visited “Sand Point” in August, 1888, on a hunting trip to the Selkirk Mountains and remarked about how “rough-and-tumble” the area was. Sandpoint’s Winter Carnivals are said to be “a sure cure for cabin fever.” Then there is the Festival at Sandpoint, a summer concert series that is held every August. Oenophiles can enjoy wine tasting and tours at the award-winning Pend d’Oreille Winery. With two golf courses in Sandpoint, including a Jack Nicklaus signature course, and over 20 courses within a two-hour drive, anyone ready to hit the links can be assured their skill level can be matched. It has been really busy lately. I had 2 closings last week and I have 7 Pending in escrow right now spread all over Bonner County. 1024 Spades Road Sagle Idaho 83860 Short sale on great home on 5 beautiful acres. 2 bedrooms, office, dining room, updated kitchen and bath. Easy year round access on county road. RV shed, shop building, fenced yard. Attic could be fixed up for bedrooms and there is a great full basement ready for your workshop and storage. 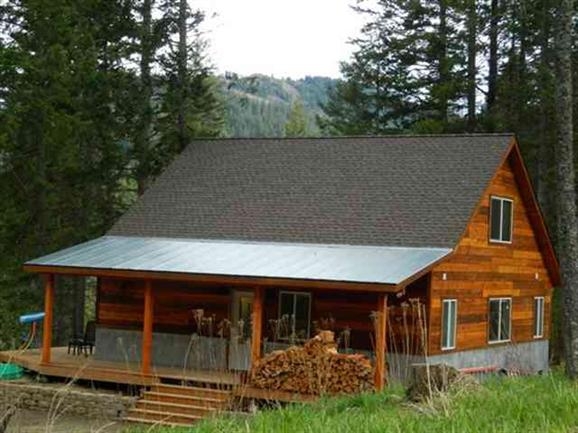 8459 River Road Clark Fork Idaho 83811 Remote No CCR’s! Absolutely gorgeous land! 17.5 acre country property with 360 views. Year round creek, 15 gpm well plus a second well and old homestead for a shed. Property is mostly open with a fringe of trees. 3 bedoom home needs some upgrades and tlc. Very close to Montana border, easy drive to town, year round access. 1684 Bayview Careywood Idaho 83809 3 bedroom 1 bath home with attached garage on almost 2 acres. Short sale priced to sell quick. Needs some tlc but very livable, easy access on county maintained road. Large 1350 sq ft Quonset style shop with high roll up door. Owner had started an additional room and bath on the back of the home. Cardinal Lane Lot Spirit Lake Idaho 83804 Property borders State forest land! Affordable 5 acre parcel, flat terrain, treed with electricity and phone and paved road. Adjoining 5 acre parcel also available see virtual tour for all lot prices. Area of great wells, nice homes, all paved roads, hundreds of acres of State land for hiking and horse back riding. Close to golf courses, lakes and town. 359 Artemis Hope Idaho 83836 Sweeping Views of Lake Pend Oreille and the Monarch Mountains showcase the incredible sunsets from Hope. Influenced by European and Italian architecture, many unique features in this home are exhibited in the stone courtyard and fountain, extensive decking and indoor/outdoor spaces. Ample space in 3886 SF for additional bedrooms. Custom iron work demonstrated in stair railing that leads to your own sanctuary is used throughout. Two living areas promote opportunity for extended family or Bed and Breakfast. BRAND NEW HIGH QUALITY CONSTRUCTION HOME ON OVER 1 ACRE . This home features an bright, open great room with: Kitchen that has Hickory Cabinets, Granite Countertops, Travertine Back splash, Stainless Steel appliances, Wood Floors and Bronze Fixtures. The open concept has beautiful mountain views out the South Facing Windows. A raised hearth wood stove heats the whole house. Built with energy efficiency in mind! Main Floor Master bedroom en suite bathroom. Owner will carry on this beautiful, custom home!! 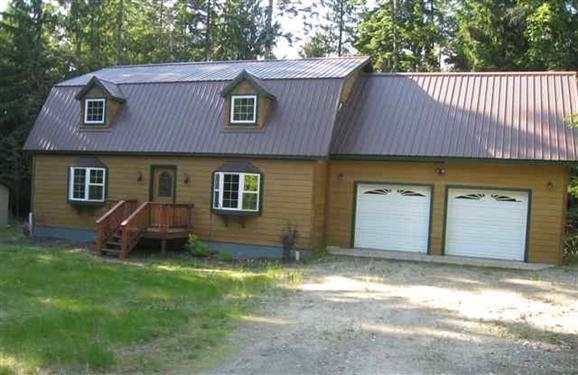 So close to town, yet very private on 5 wooded acres. Home features many quality touches. Granite tile countertop in kitchen with custom made Maple cabinets. Large master suite with walk-in closet and attached bath with dbl. sinks. Big formal dining room. Basement area includes framed in areas, incl. bathroom. Oversized, 2 car att. garage, and 8 x 12 storage heated & insulated shed. Much of home was recently finished. Ready to sell your home, both of us have alot of work to do. I often hear from people that I wear many hats throughout the day. During a typical day I am on the phone calling banks, title companies, well drillers, excavators, clients, plumbers, surveyors, etc. I may be giving advice, digging a hole, providing counselling, working on a computer, repairing a hole in the drywall, juggling schedules. Sometimes I go home and feel like dropping, but there is usually even more that needs to be done. So lets look at a couple of things to do when selling a home. My first pieces of advise for any seller are these three things. You only get one shot to make a good first impression. A clean nice smelling, de-cluttered house makes for a good showing and quicker sale. If the buyer’s first impression is WOW, then they tend to overlook the little things that didn’t quite fit in their wish list. If it is extremely cluttered they usually think that it will take a person to long to move. If they are looking at a mess, many people just can’t get past it. I can almost always guarantee that someone will want to see the house at the worst possible moment. While there are of course exceptions, make it as easy as possible for agents to get in and show your house. You never know what sale you are saying no to. Things I do to sell a home. The first is to take pictures, lots of them. Next I enter the home in 2 different MLS systems which cover all of North Idaho. I place a sign, order riders and special signs. I gather plat maps, aerials, utility bills, list the companies, contact HOA’s pull ccrs, call for preliminary title reports, assemble a property package. Getting your home under as many noses as possible brings success. I list your home on at least 50 websites for maximum exposure, and send a list of links that your ad appears. I make a virtual tour on http://tourfactory.com and send the stats to you each week. I make flyers and buy a flyer box. I advertise in local classified ads. I advertise in feeder markets in other cities. I use my networking connections to get the word out. We have a reverse prospecting in the mls, so I contact the agents to let them know they have a client who might be a good fit for your property. Prequalifying buyers, arriving at your home to turn on the lights and making it presentable for showings, Showing the property. Follow up. I follow up with agents and buyers. So lets see what else is there. Well I have done everything from washing dishes and taking out the trash, to uncovering septics, walking property lines, pulling out my hair, walking the dog during showings, crawling under houses, tracking down leaky pipes, picking up laundry, mending fences, painting, calling everyone and arranging repairs, Did I mention pulling out my hair? When you list your home for sale you wanted it to sell right away. I am often busy chasing down the details and working on promoting your property. If I don’t tell you though, how are you going to know. I try to be good about taking the time to contact you and let you know what I am doing. I am going to work on this though to be even better, because I do know it is important. Negotiating a sale. I do my best to put buyers and sellers together and make a deal that everyone is happy with. Once we get past that part, and the paper work is in, escrow is opened and I am putting a SALE PENDING sign. Ah the work has just began.